Cyri Van Hecke, member in Maslon's Litigation and Real Estate Group, will present at the American Railway Development Association's 2019 Executive Forum on January 23, 2019. Cyri will discuss the outcome of a recent appeal to the Minnesota Court of Appeals pertaining to Minnesota Statute 237.045—the standard crossing fee statute. She will explain how the Court's published decision affects railroads not only in Minnesota but in other jurisdictions that have passed similar legislation. 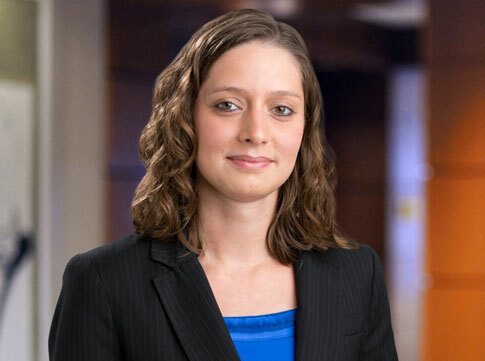 Cyri focuses her legal practice in the areas of real estate and construction litigation. She has represented financial institutions, contractors, suppliers, owners, commercial carriers, railroads, and other public and private entities in a variety of real estate and construction litigation matters. Cyri also has extensive experience with commercial real estate and lending transactions, including real estate acquisition, leasing, construction, development, and financing matters.